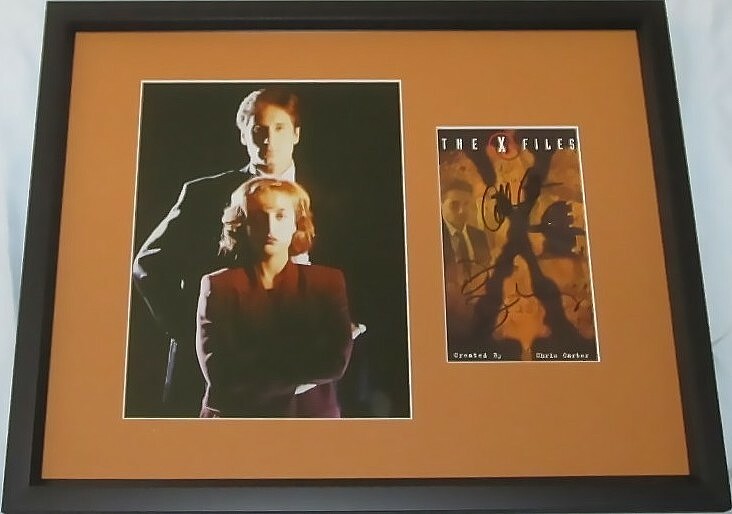 X-Files VHS video box cover autographed in black marker on the cover by stars Gillian Anderson and David Duchovny, professionally matted in orange with an 8x10 photo and framed with glass in black wood, ready to hang. 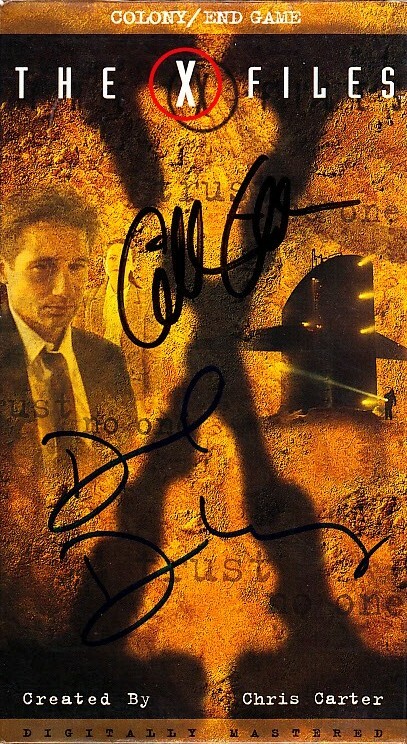 Anderson signed the box at limited 2013 Comic-Con signing, Duchovny at celebrity golf tournament many years ago. With photo from the Comic-Con signing and certificate of authenticity from AutographsForSale.com. Framed size is about 15 by 18 1/2 inches. ONLY ONE AVAILABLE FOR SALE.